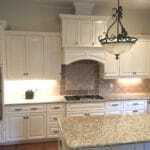 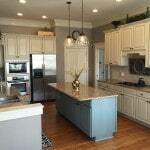 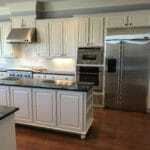 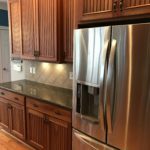 The doors in our homeowner’s kitchen were so pretty, and they matched the style throughout the rest of the house. 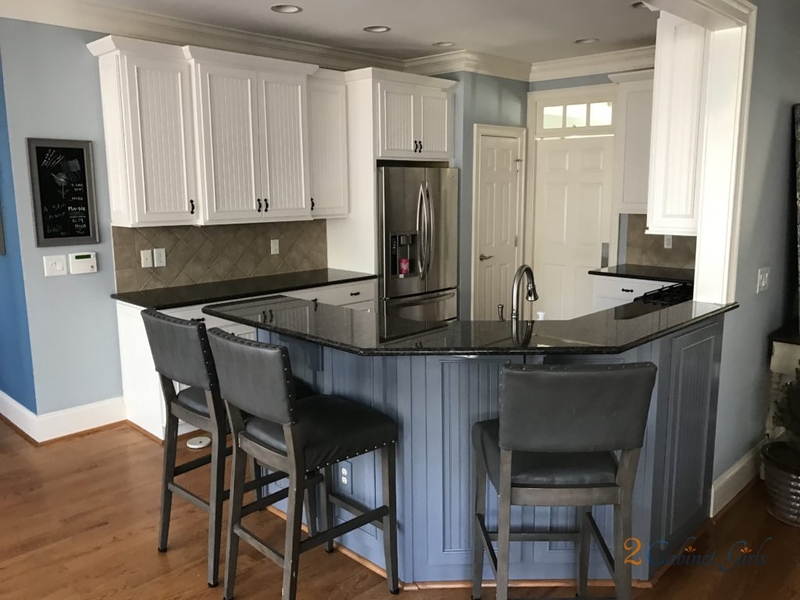 The only problem…the color. 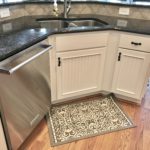 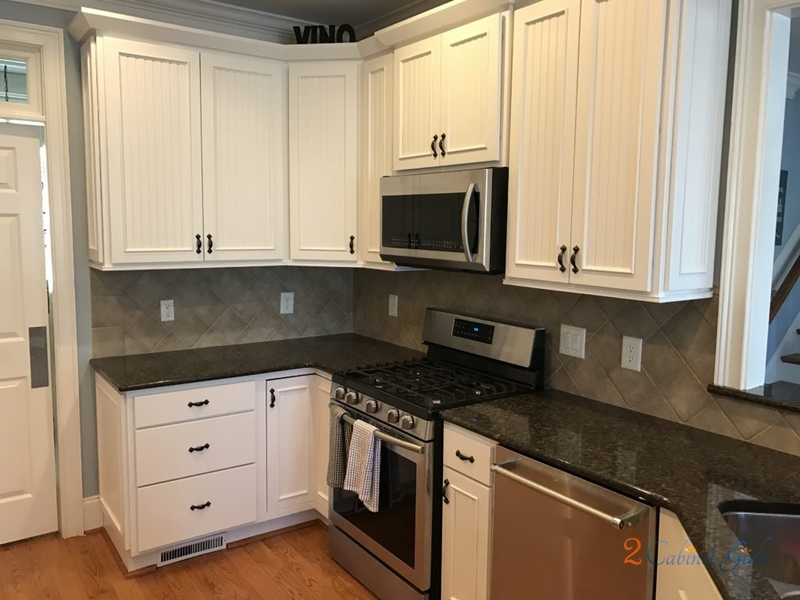 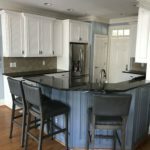 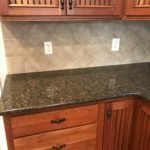 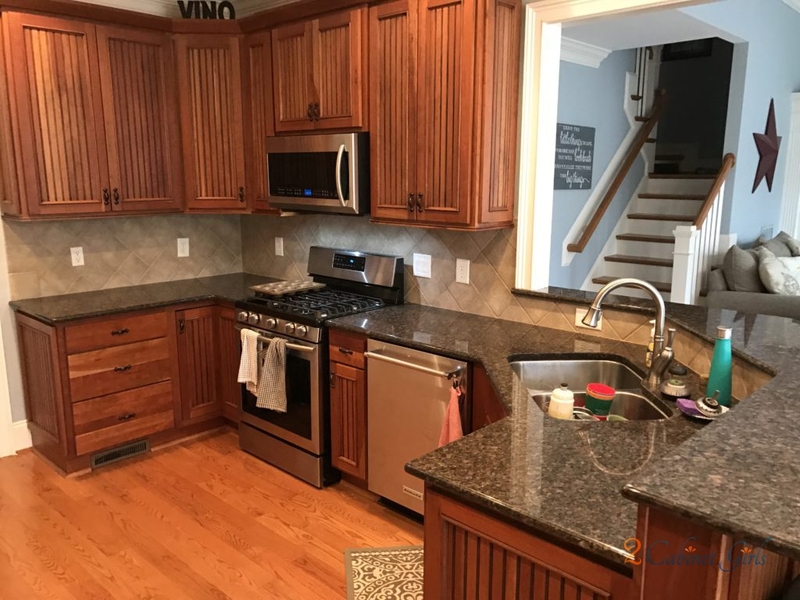 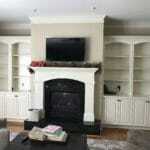 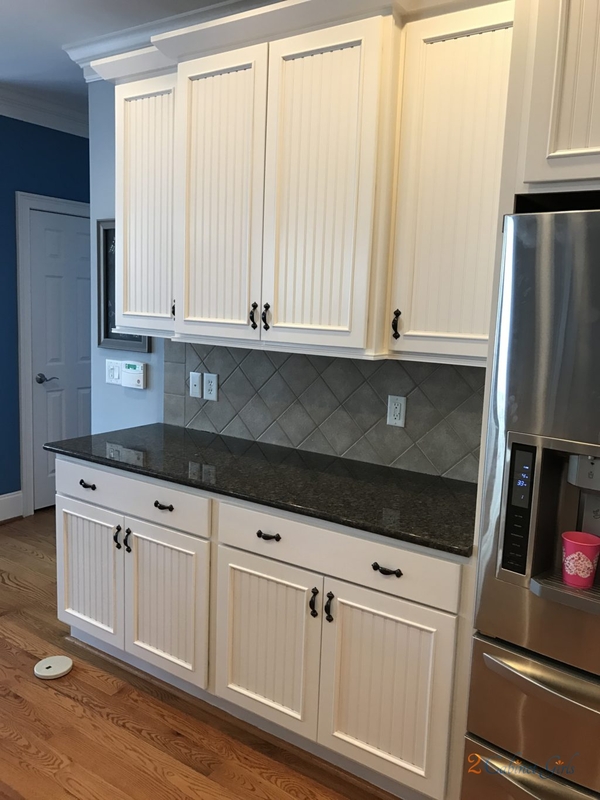 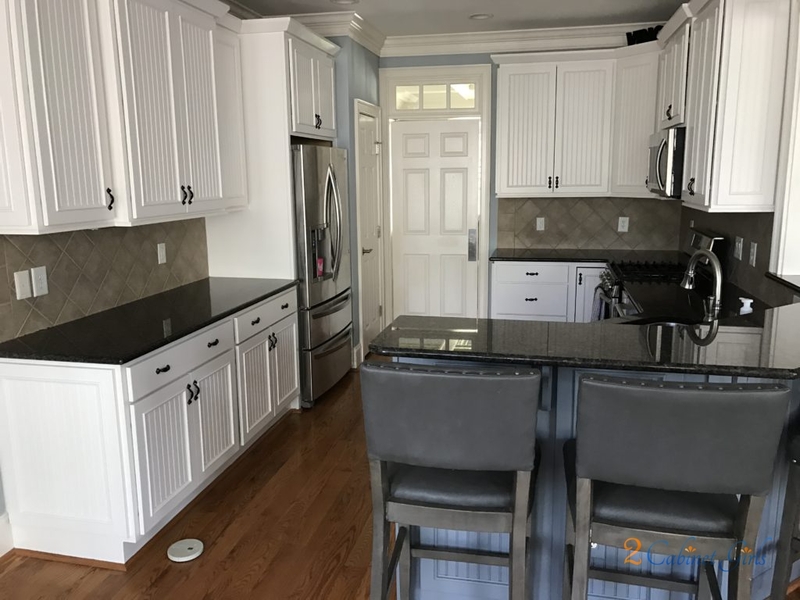 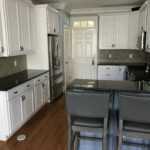 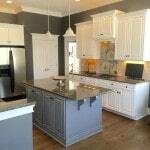 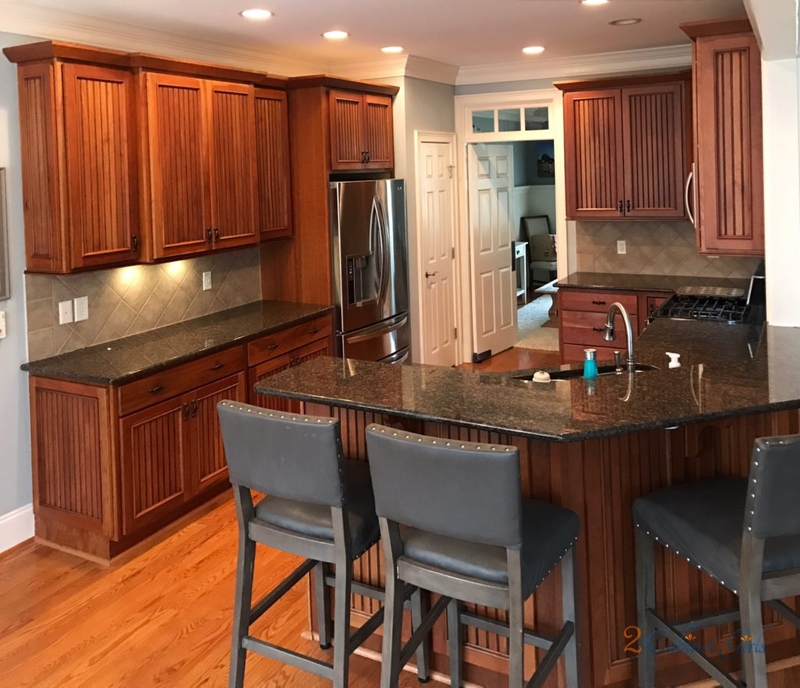 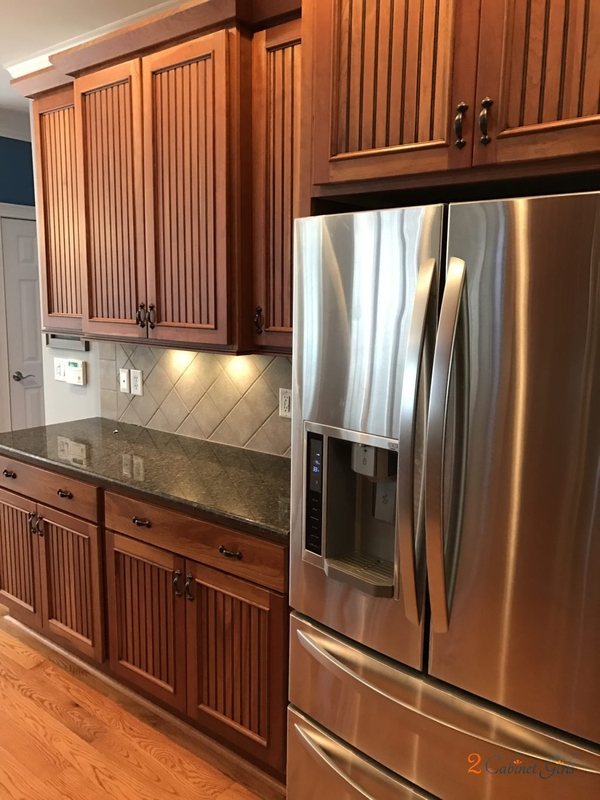 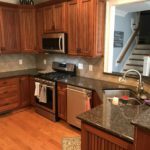 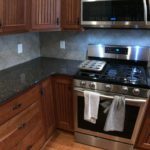 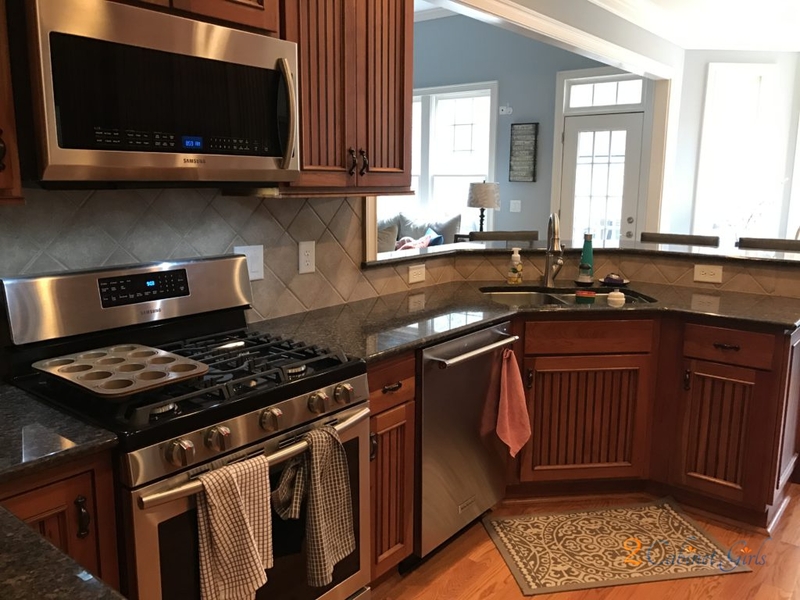 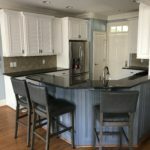 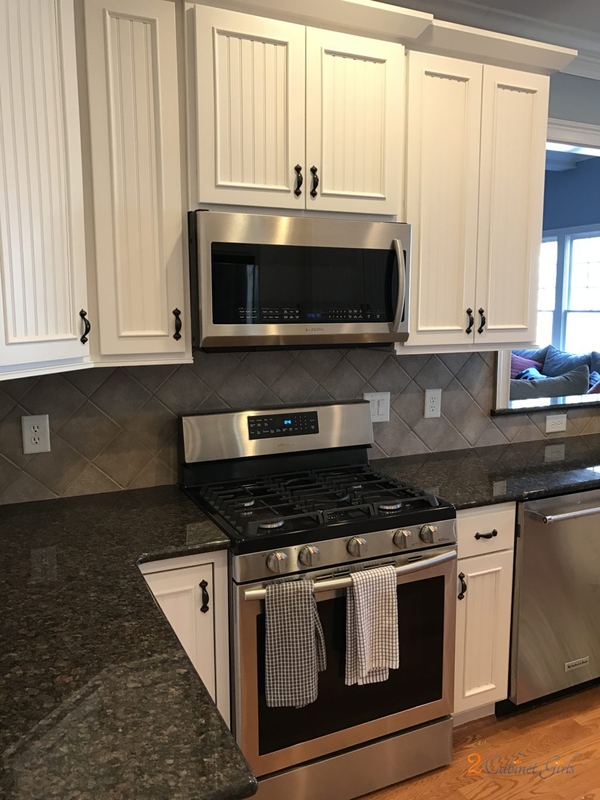 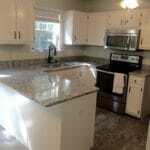 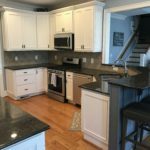 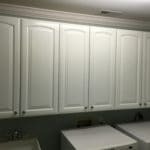 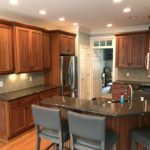 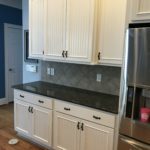 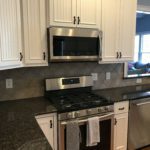 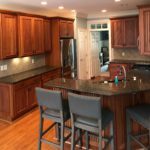 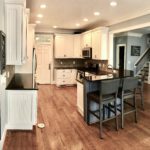 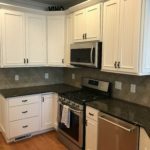 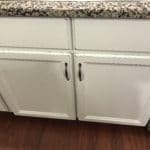 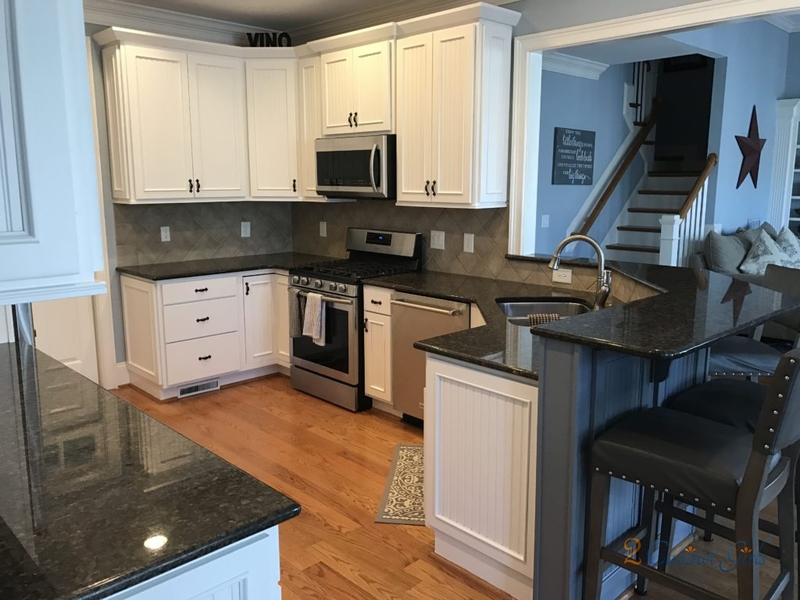 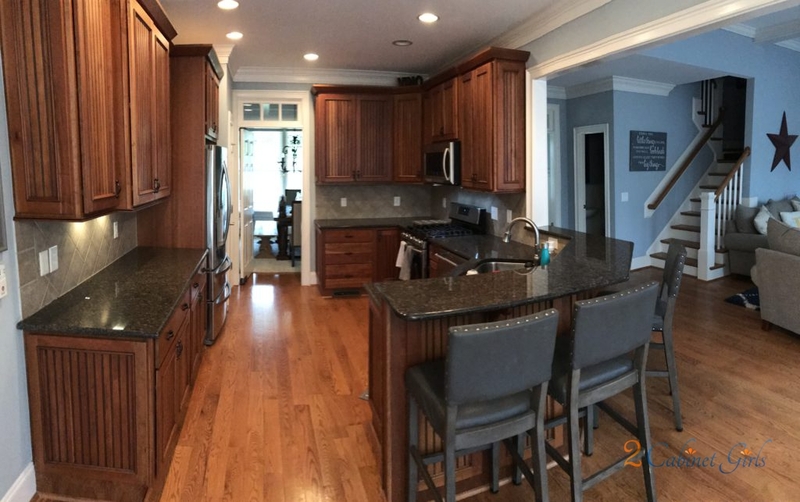 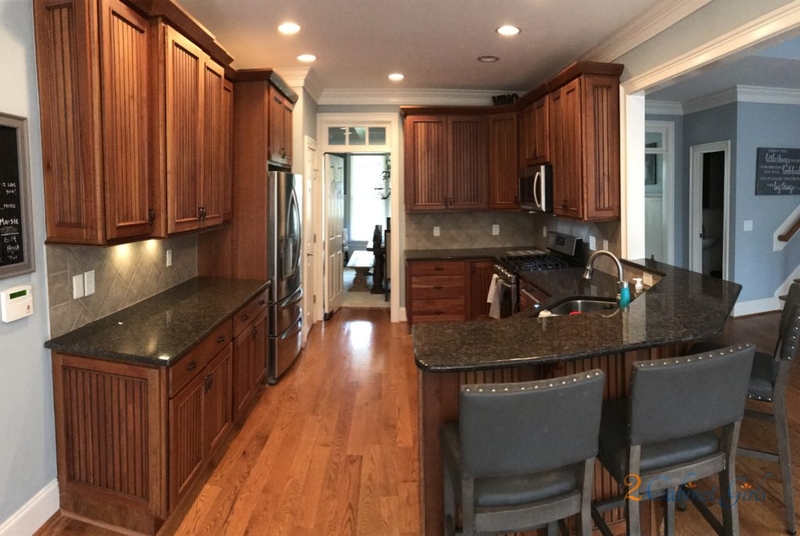 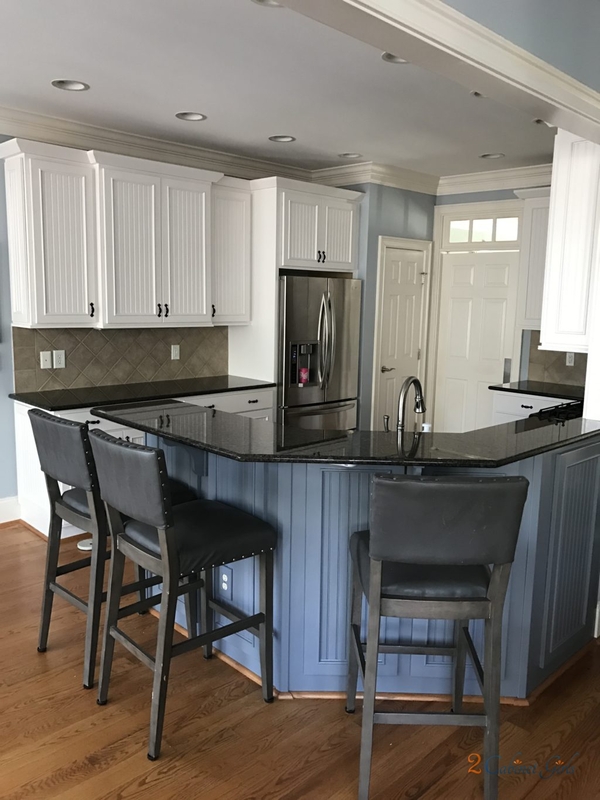 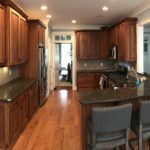 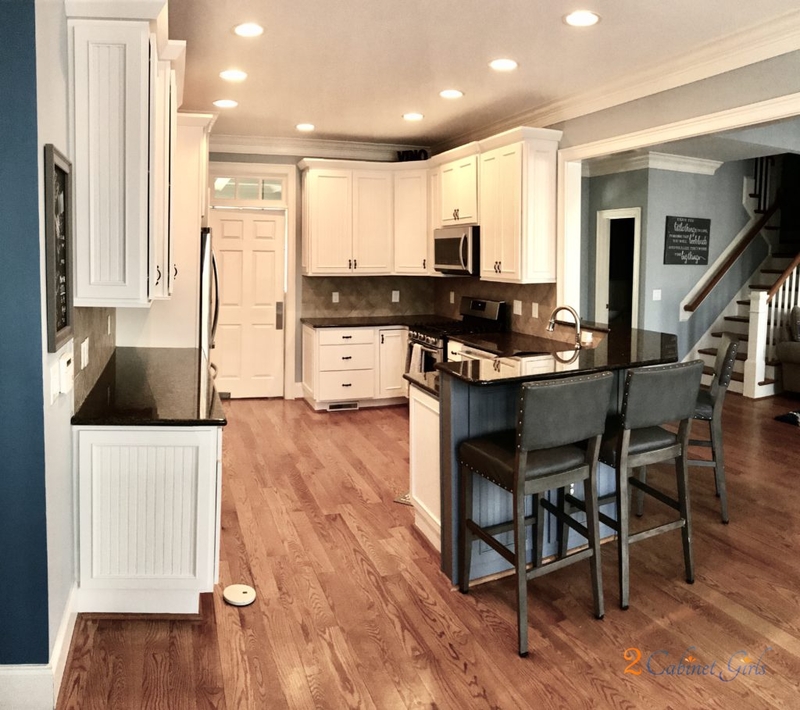 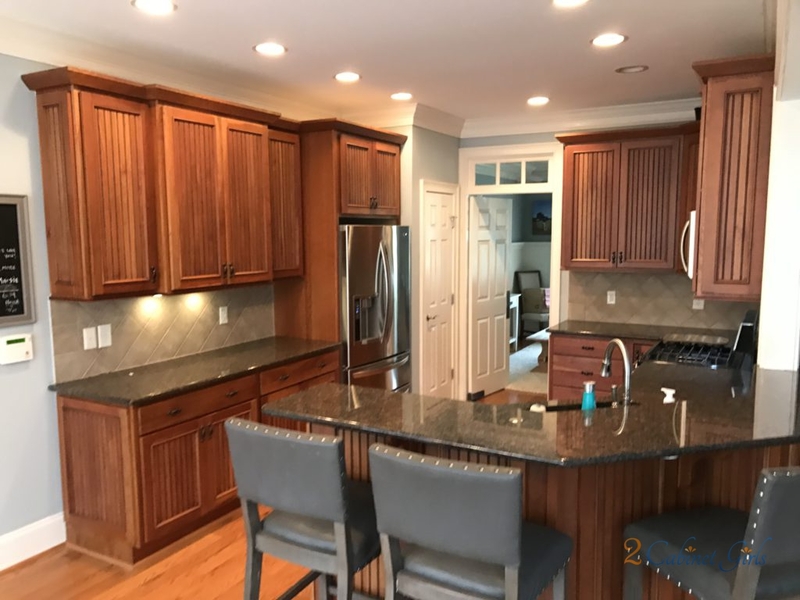 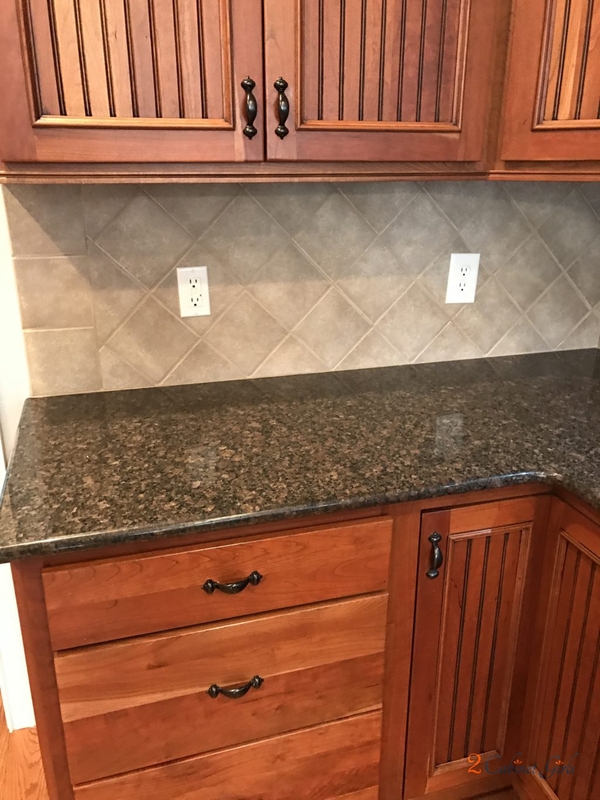 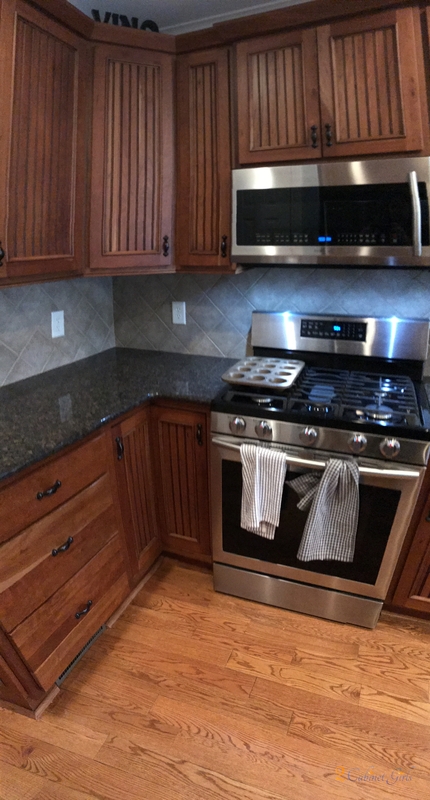 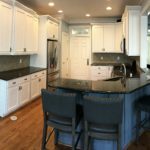 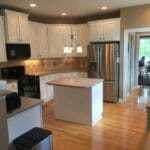 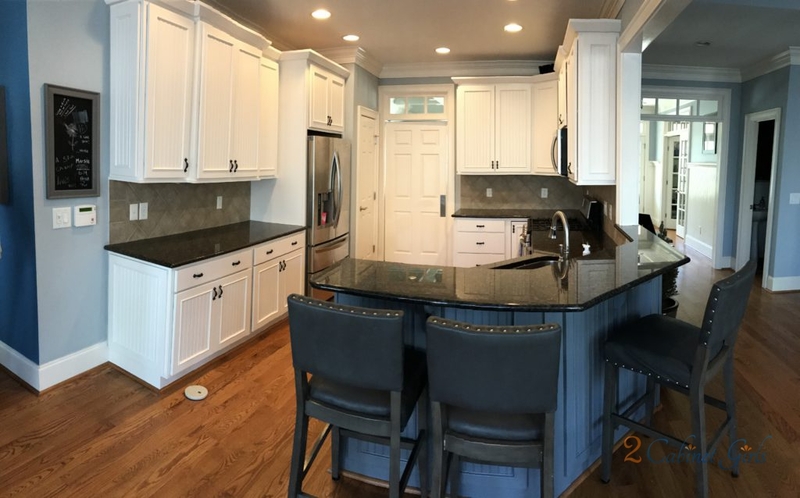 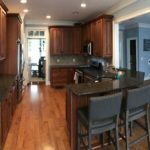 They had gorgeous beadboard wainscoting everywhere, with a custom Sherwin Williams color, so we used that same color on the cabinets to make them blend and feel more cohesive. 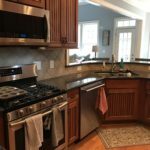 No more dark and dreary! 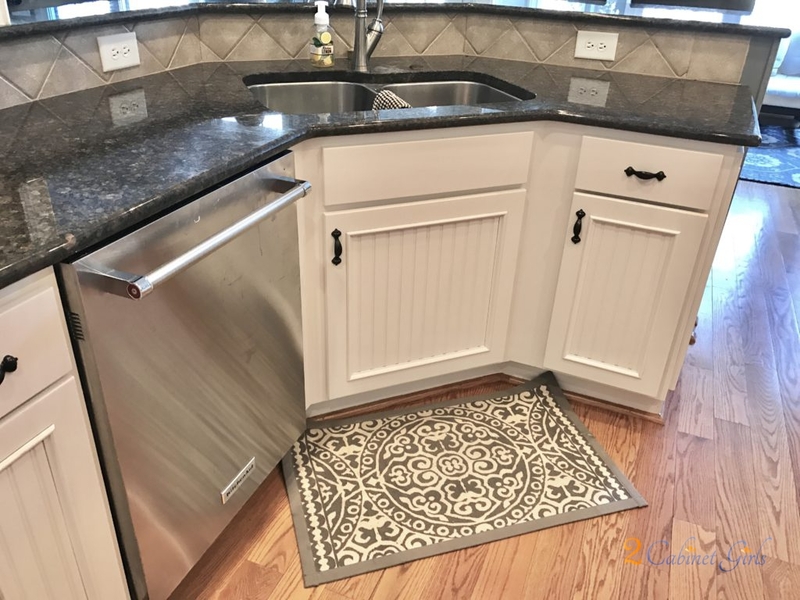 And here’s a little secret – our super smart homeowner chose a dark gray for the back of the peninsula to help hide all those pesky shoe marks!